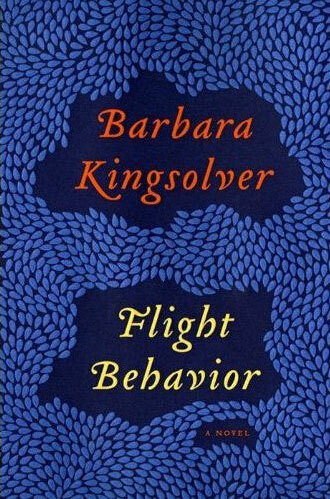 I've been engrossed in Barbara Kingsolver’s new novel, Flight Behavior. It’s one of those books that sets your mind whirling in all different directions. There are many hearts to this book, many core stories, and one of the most interesting is the story of the monarch butterfly and it’s migratory pattern. (Yes, this really is a novel, but she manages to sneaks a lot of science in there too, rather like the way your mother used to camoflauge vegetables with cheese sauce or buttered bread crumbs.) The way I understand it is that the monarch butterfly migrates north from a warm climate (like Mexico) and then back again, but because a monarch’s lifespan is only about six weeks, the complete journey is played out over three generations. The mating occurs in Mexico, and the birth of new butterflies a bit farther north, perhaps Texas. These newborns then fly even farther north to avoid extreme summer heat. But then, if all goes according to plan, come autumn these brand new butterflies make their way back to Mexico. Where they’ve never, ever been before. Something in their DNA - remember, this is the DNA of a butterfly we’re talking about here - tells them when to make this journey and where to fly to get back to the warm Mexican forests where their “family” came from. Today I’ve been thinking about and marveling over the inner signals in that tiny insect. The impulses that set it on its journey, the integrity of a miniscule GPS system that guides it on it’s way. The compulsion it must feel to fly at just the right time. And the way it honors that compulsion without thinking. If an insect can be so firmly guided by it’s genetics, I think, then how much more are we, without even being aware of it, guided by the genetic soup that sloshes in our large and cumbersome bodies. How many of our own impulses, behaviors, desires, are governed by the mysterious and ancient forces of DNA? I suspect many more than we like to believe. But unlike the insect - or birds or fish or other mammals - humans so often ignore the signals our inner spirit sends out. We persist in doing things that go against our grain, whether it’s work, or relationships, or ways of dealing with people. When life doesn’t feel just right, we tell ourselves to buck up and get over it. When instead we should heed those prickling thoughts and allow them guide us to where we should be. But so often we’re afraid. For a long time before we moved, I had those prickling thoughts. That the place I was living wasn’t where I was supposed to be anymore. For an even longer time, I had been ignoring them, afraid to migrate, to make a dangerous journey away from everything I knew. Now that I’ve made the trip, I realize the decision was right. I feel peaceful, as if I’m where I belong. 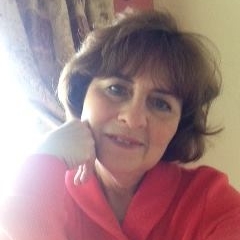 The monarch butterflies in Kingsolver’s story have taken a wrong turn in their migration, things have happened which set them off course and changed the natural progression of their lives. This is mirrored in the book by the circumstances of its heroine, Dellarobia Turnbow, an intelligent young woman who was ready to fly from the foothills of rural Appalachia and onto college when she was derailed by her parents’ deaths and an unplanned pregnancy. She has been at odds with her world ever since, though she has done her best to buck up and get on with it. Something inside her has never felt quite right, and until the butterflies arrived on her mountain, she didn’t know what it was. Those tiny butterflies live without fear and follow the compulsion that sends them forth, even though in this case it could mean complete extinction. I haven’t finished the book, so I don’t know if Dellarobia will heed their example, or how her story will end if she does. Change is never without price, movement from one place to another is always fraught with a certain amount of danger. But if you can connect with your inner nature, with the primal forces that make you healthy and whole and alive, I have to believe you’re more likely to migrate successfully. Thanks to TLC Book Tours for the opportunity to read this wonderful novel.